The SBC Saddle Horse Show & Rodeo Parade! 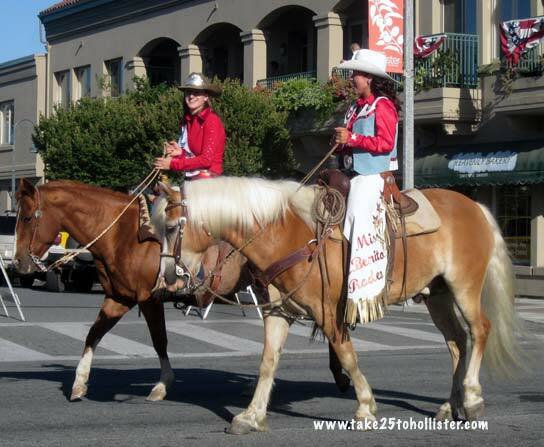 It was a perfect summer evening for the San Benito County Saddle Horse Show & Rodeo Parade. 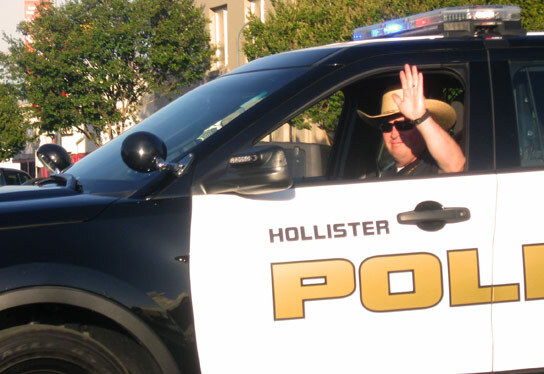 Geri Johnson, retiring Hollister City Clerk, was the Grand Marshal of the parade that kicks off the 82nd annual event at Bolado Park this weekend. 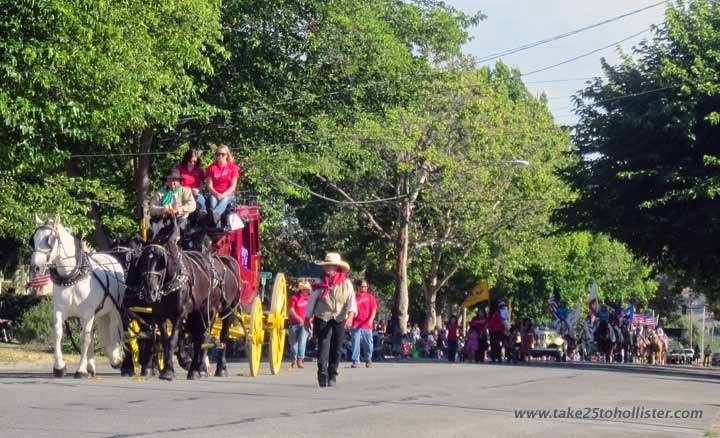 The parade had horses and rodeo royalty, community figures and groups, school kids and youth groups, singers and bands, and more. 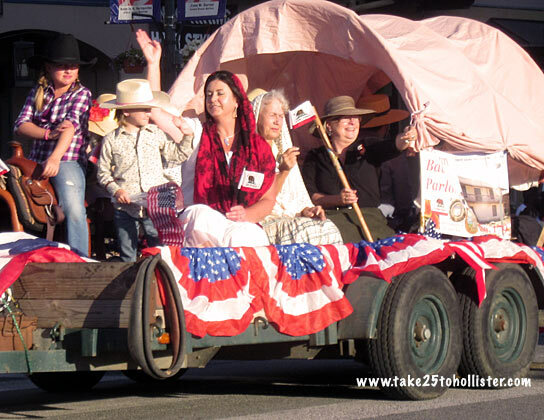 Here's just a sampling of the participants. 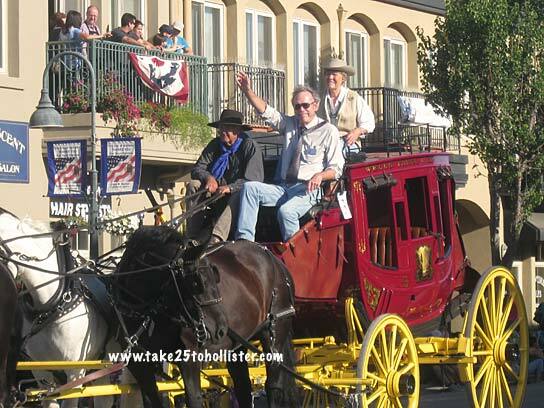 I'm sharing this post at Friday My Town Shoot Out, a new meme for me. 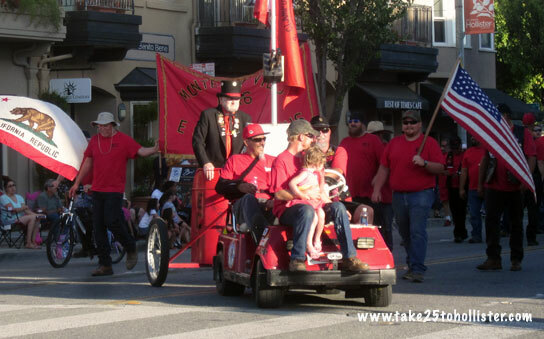 Every week participants post photo around a theme, which this week is the color red. 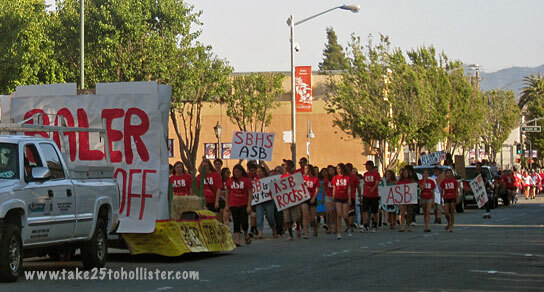 And, there was a lot of red in yesterday evening's parade. 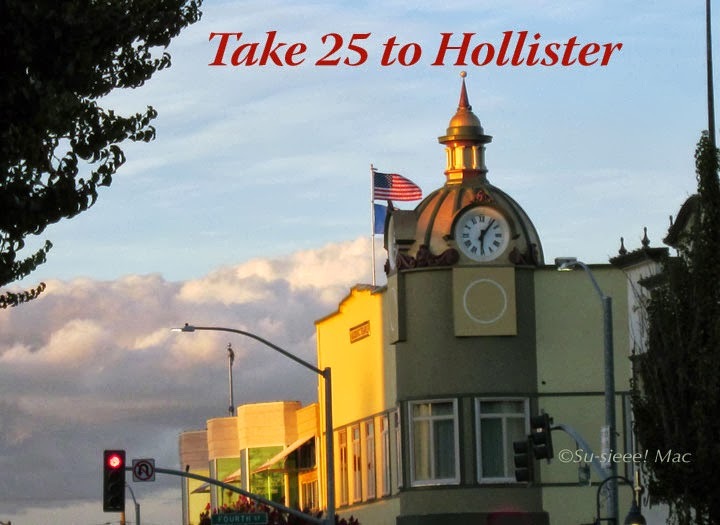 Click here to check out posts from bloggers around the world. 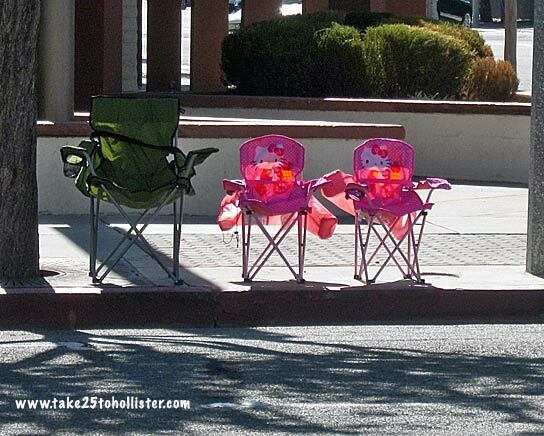 People started putting out their chairs before 10 a.m. for this evening's annual San Benito County Saddle Horse Show & Rodeo Parade. 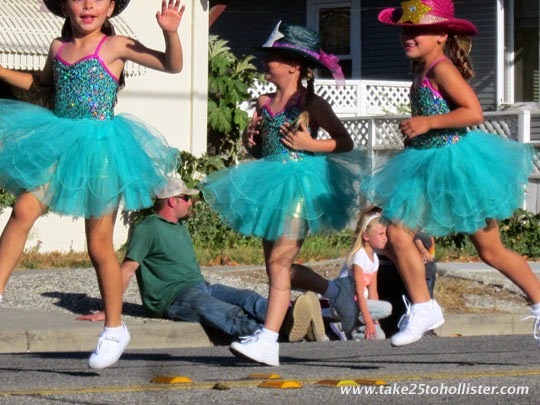 The parade will begin at 6:15 p.m. 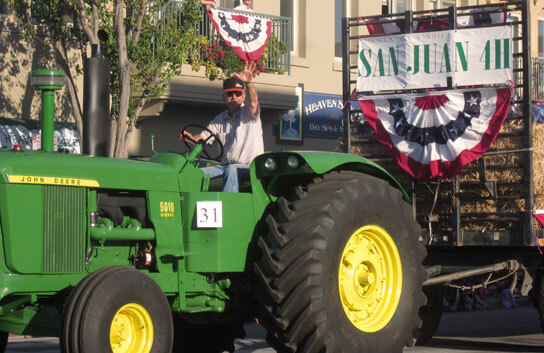 It will start at the south end of San Benito Street and march through the center of Downtown Hollister, ending at Fifth Street. 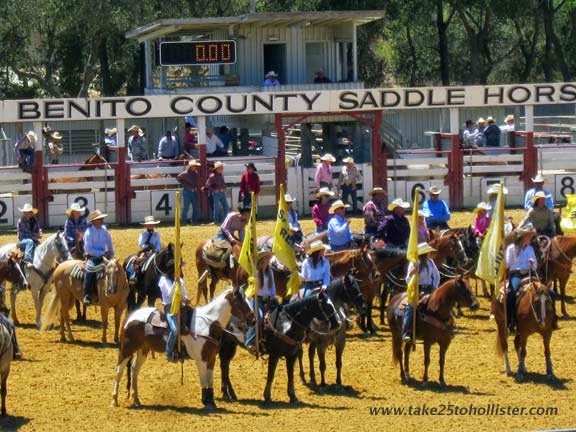 And, still kicking is the San Benito County Saddle Horse Show and Rodeo, which began in 1929. 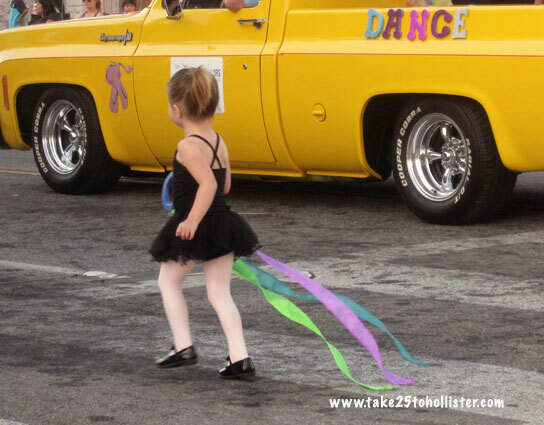 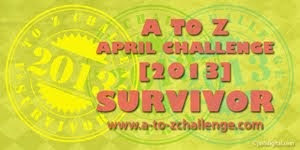 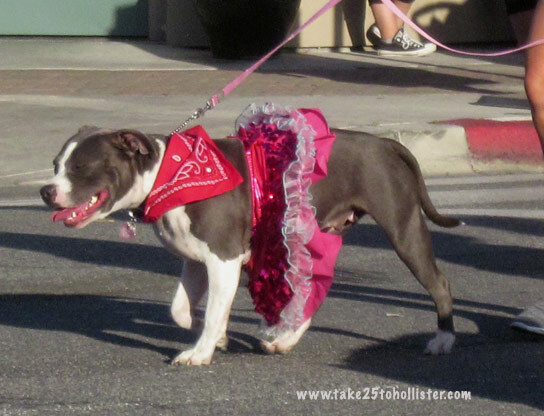 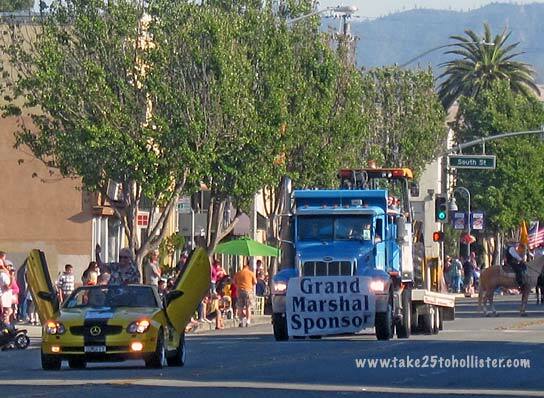 Every year, the event takes place at the Bolado Park Fairgrounds in Tres Pinos, about 8 miles south of Hollister. 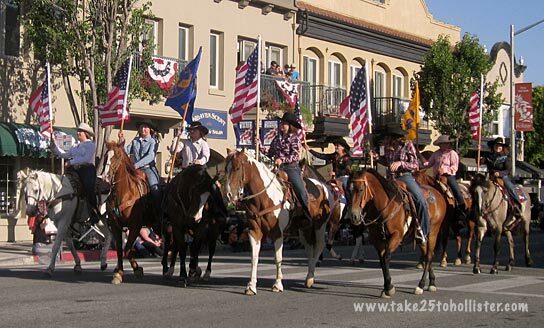 This year, the weekend event will be Friday, June 26 to Sunday, June 28. 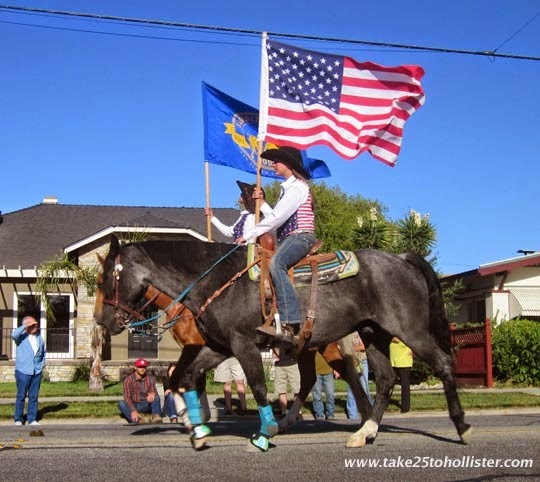 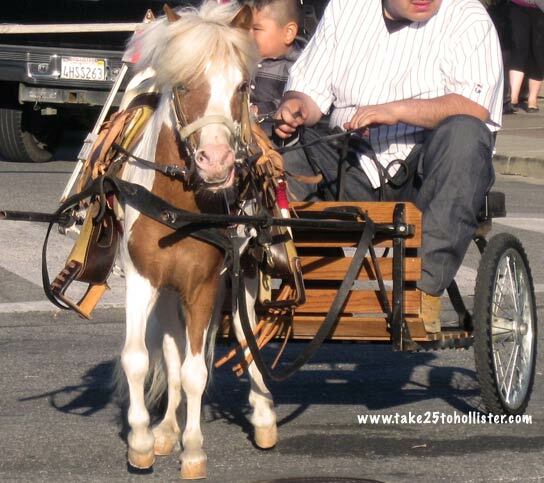 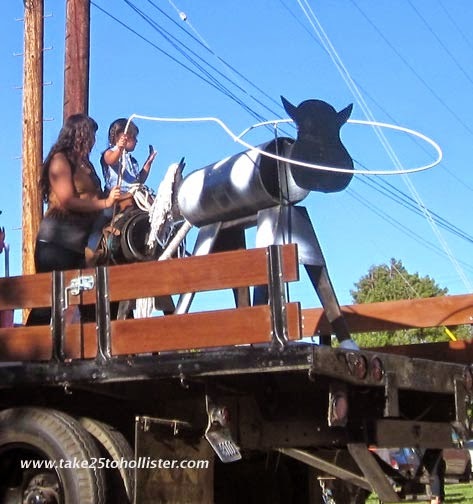 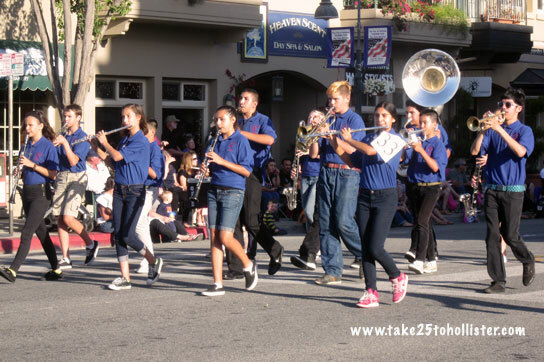 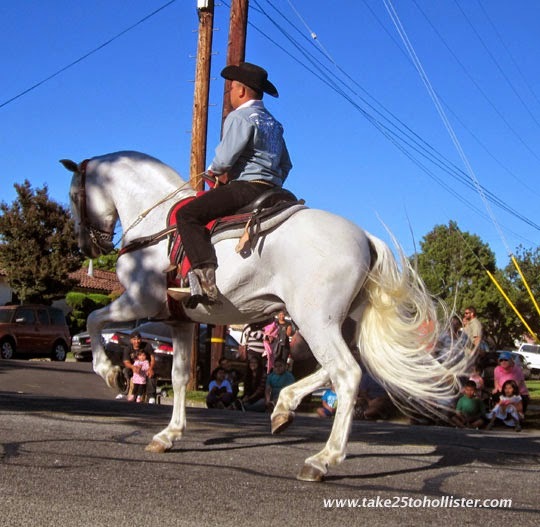 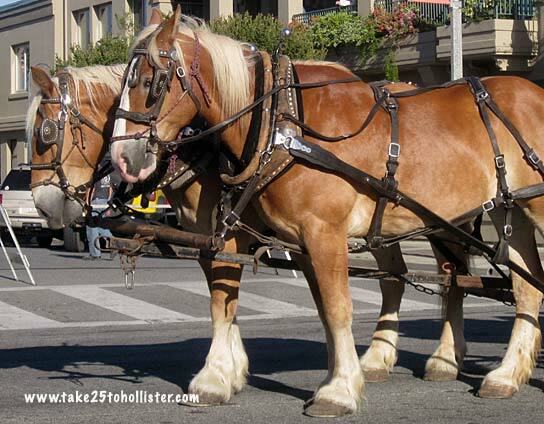 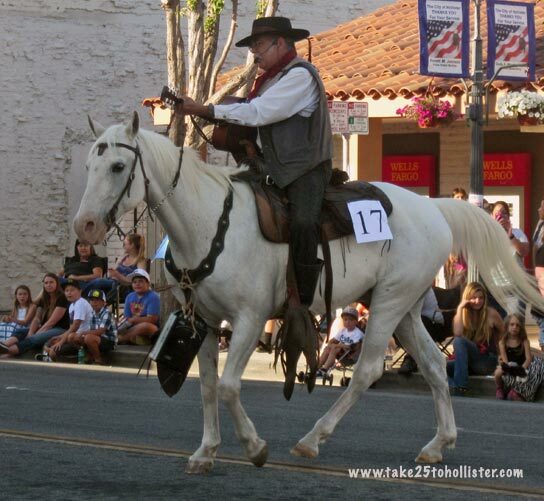 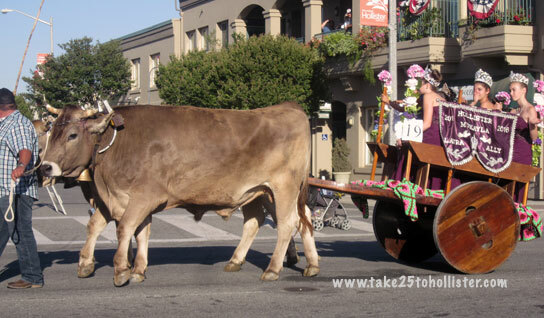 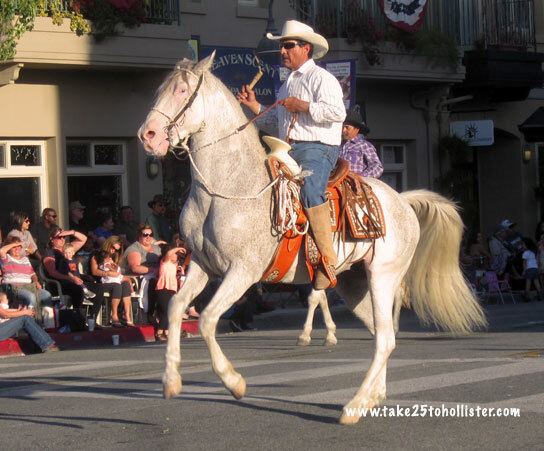 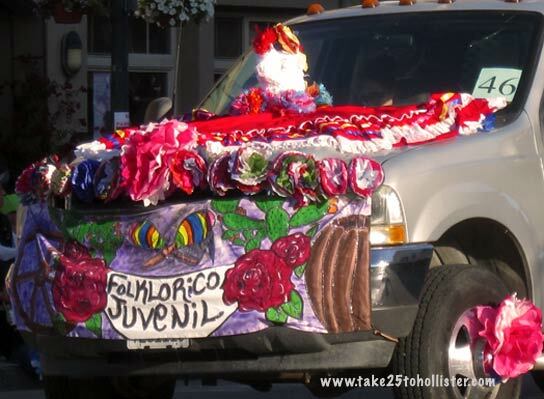 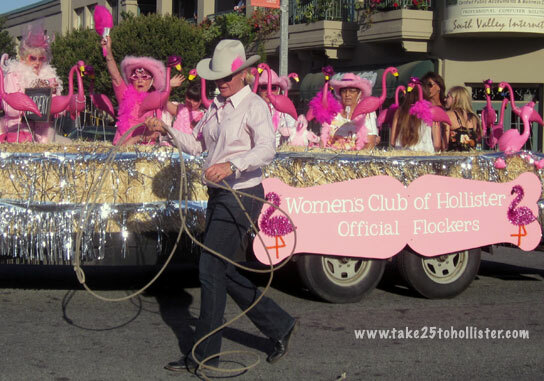 As in past years, The Saddle Horse Show and Rodeo will kick off on Thursday evening (June 25) with the a parade through Downtown Hollister.